How do implants look like at close? How and what materials are they made of? What types are there and how does the dentist decide which to choose? 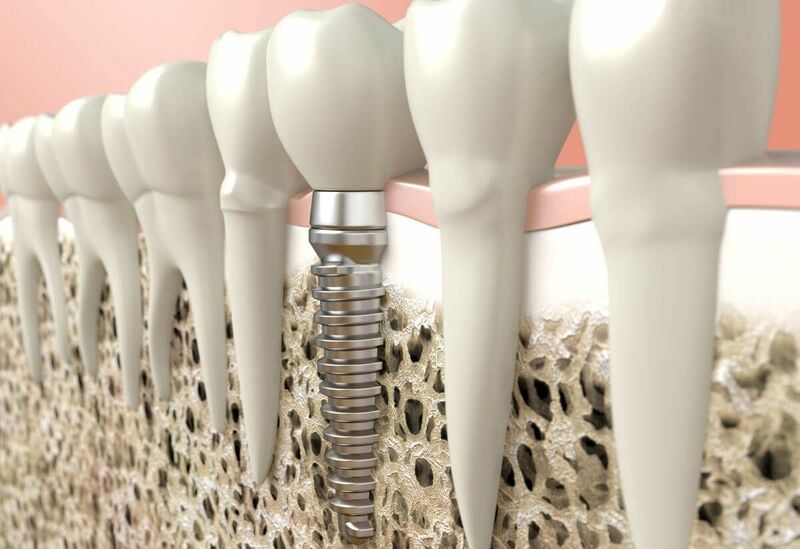 What is osseointegration? We are about to find these answers out. 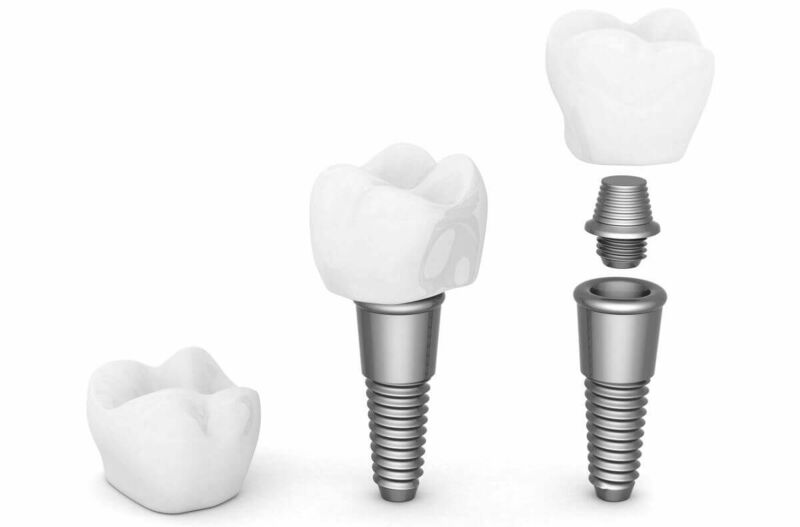 The various types of implants are made of biomaterials, most of them are of pure, unalloyed titanium. The human organism can fully take this material in so there is no way to have an allergic reaction. Implants are for replacing the lost natural teeth. It is has an implant that is like to tooth root, there is an abutment and a crown which equals to the natural crowns. The most visible part of the implant is the crown. Lately, dental technicians are able to create crowns that perfectly fit the existing teeth. They match the teeth in shape, size and colour. As opposed to dentures, the ‘artificial’ look can be avoided by implantation. The primary task of an abutment is to connect and stabilize the crown and the implant. It looks similar to the teeth that are filed down to prepare dental bridges and crowns (flat cone-shaped). As mentioned above, titanium is chosen because it has good mechanical qualities and a low specific gravity. it is 100% allergen free and can be a lifetime solution. The surface of the implants are threat formed so that the implants can have a stable foundation before the osseointegration (bone integration). This form creates a bigger surface for the implant so that the bone can fuse with it in a bigger area. The porous surface of the implants (not smooth but a bit grainy) also supports bone integration. The way it works it that titanium dust is sprayed onto the surface of the implant while keeping it on a high-temperature. Osseointegration (or bone integration) is the process when the inserted implant and the bone structure (the existing bone) fuse together. This will be the stable foundation for the implant. This connection helps the chewing force to be placed on the bone from the implant - so that the bone recession can be avoided. There are a lots of types on the market these days. They are the same in the main function but are different in many ways: the material, the form, the form and size of the thread, the size of the implants, etc. The dentist chooses among the best type possible. It depends on the bone density and size and the form and size of the cheekbone. We would not wish to introduce all the implant types one by one, however, the revolutionary Swiss Bi-cortical implants worth the attention. As opposed to the conventional implants these are stabilized a little deeper, in two hard bone layers and are flexible. Thank to these, the 3-6-month healing time and a sinus lift (which are needed in the case of conventional implantation) can be avoided so it is possible that the patients can receive their new permanent teeth within a week. Find out more about the 5 day implant system here!